The ideal size for an active family, our 2013 Toyota Highlander 4WD SUV displayed in Nautical Blue Metallic. Powered by a respected 3.5 Liter V6 that puts out 270hp while coupled with a smooth shifting 5 Speed Automatic transmission. 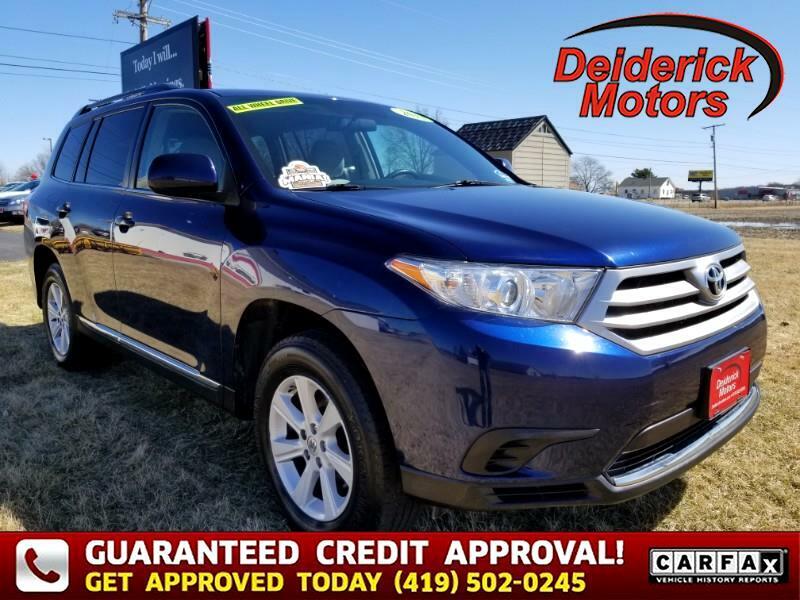 This Four Wheel Drive Highlander attains nearly 22mpg on the open road. It offers a smooth ride with great handling, tons of space and sure-footed maneuverability that makes you look and feel great. Indeed, our Highlander has the functionality of a big SUV but has been meticulously crafted to stand out in its class. Its profile is lower to the ground and is accented by roof rails. Bluetooth phone/audio connectivity, a sound system with an iPod/USB interface, and a rear view camera are all convenient features for a busy family. Impressively, second-row captain's chairs slide together, then the entire seat slides forward for easy access to the third row, so you can comfortably seat seven!